It’s been a funny old week. I had a bit of a shock on Sunday (in a nice way! ), which took me 3 days to recover from (more on that later)! Then Monday felt like a Saturday, cos the kids were off school for the St.Patrick’s Bank Holiday. I met mum for coffee on Tuesday, and gave her the Cathedral Windows cushion. The word she used was ‘exquisite’ so I’d say that went down well! Yesterday I actually managed to get some sewing done, and then last night it was my daughter’s school Spring Concert in the Ulster Hall. 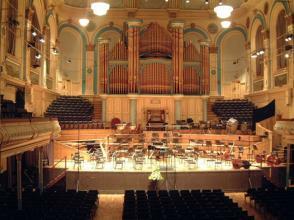 It was a fabulous evening, with nearly 300 kids showcasing their musical talents in this awesome venue. 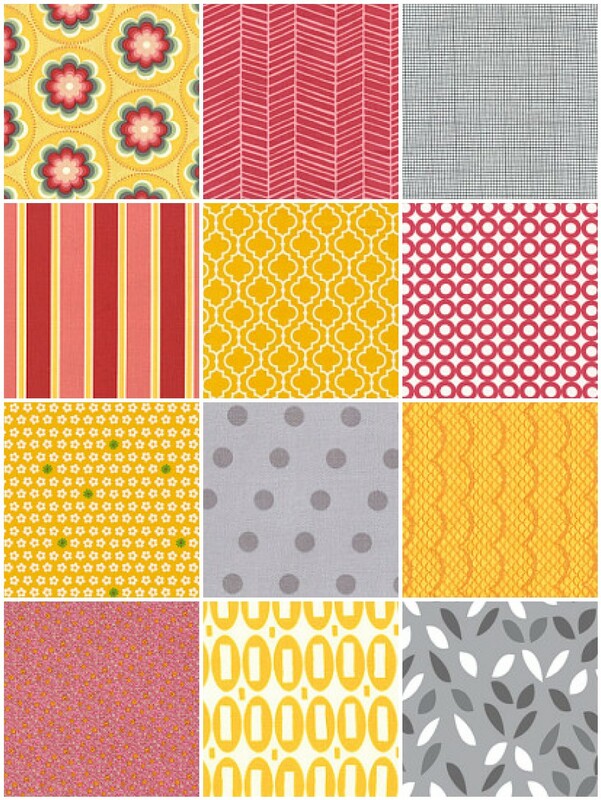 Today, the sun is shining, which has had a bearing on my selection for the Katy and Brenda fabric bundle competiton. If I were to be fortunate enough to win my own bespoke bundle, I would make these into a summer quilt, because the complete lack of sunshine during the summer in this country, means that you have to find it elsewhere! I’m calling it ‘Mmmm’, you know the feeling you get all over your body when the sun hits it? The sunny yellows will be my warm soothing sunshine, the raspberry reds remind me of sweet juicy strawberries and summer fruits, and the soft greys are the ‘on trend’ colour to help blend it all together. And while I have been sewing the past 2 days, they are mainly class samples and more birthday presents for friends (perhaps some pics tomorrow)! Just before I go, the shocking surprise I got on Sunday was a new Ipad2! Now before you get all excited, I don’t have it anymore! When I eventually scraped myself off the floor and started playing with it (terrifying!) we soon realised it wouldn’t be able to do all that I would need it to for work. So it was returned to the shop and a handy wee laptop purchased in place of it. Much more me, and it’s turquoise too!! So no more fighting with the kids over who’s turn it is to use the tin bucket family computer downstairs! Hope you are enjoying this beautiful spring Thursday. Previous Previous post: Ouch! She Got Me! Next Next post: Have you ever seen a cupcake smile?